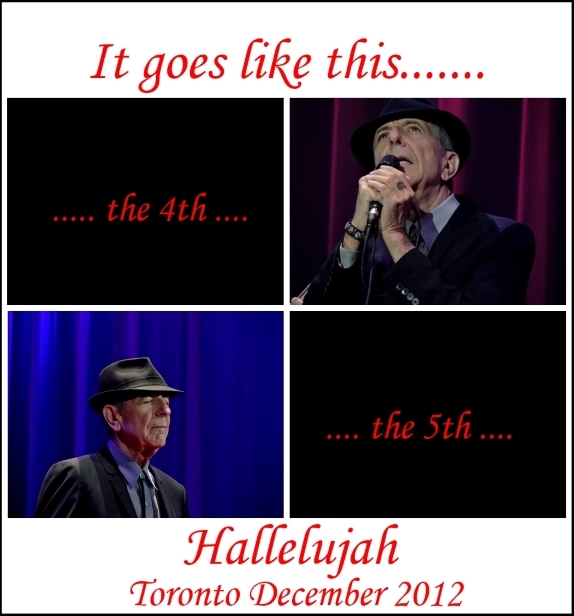 This entry was posted in Montreal and Toronto, Photos and tagged Anthem, Gwen Langford, Hallelujah, Leonard Cohen, Toronto. Thanks Gwen – wonderful to have a reminder of those memorable few days! I always think of Toronto when I hear Famous Blue Raincoat – it’s quite powerful. I know Leonard sings ‘late’ in December but artistic licence!